Behind the eardrum is a space called the middle ear. It’s a resonating chamber, like the body of a violin or guitar. It amplifies sounds coming from the outside through the eardrum, and within it is a system of small bones that transmit sound signals to the inner ear and onward to the brain. This space is connected to the nasopharynx (nasal cavity) by a canal, one of the spaces in the upper respiratory tract that can fill with mucus or pus whenever inflammation occurs. When this happens in the middle ear, the surrounding tissues become engorged by mucus or swelling, and this impairs drainage toward the nasal cavity—creating ideal conditions for bacteria to proliferate there and causing a condition we call otitis media. It’s very common in small children for a number of reasons. Some kids are always getting congested, and because of their smaller anatomy, the drainage canal is narrow and can block easily. 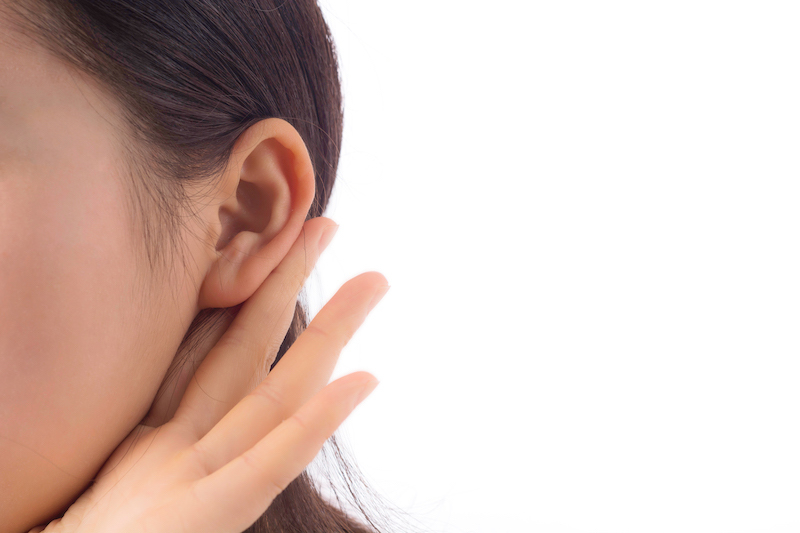 The middle ear is not a sterile space, so if it fills with fluid, it’s easy for flora from the nasal and oral cavities to spread there and cause a serious infection, as well as a constant sensation of pressure and painful discomfort within the ear. be an enormous problem in children’s medicine before the advent of the HIB vaccine—which is now given to almost every child, including kids in Vietnam. An efficient HIB vaccine was difficult to create. Haemophilus proteins alone cannot stimulate a strong immune response, so an ingenious vaccination method had to be used to jolt the body’s immunity into action. To do this, researchers tried combining Haemophilus with a protein issued from an unrelated pathogen like diphtheria, known to have a powerful impact on the immune system. The vaccine that resulted stimulated a protection that worked strongly against Haemophilus. Nowadays, Haemophilus infections have dropped to almost zero, so this vaccine was very successful. Unfortunately, vaccination has not been as effective against the second bacteria in the list that usually causes otitis media: pneumococcus. The problem with pneumococcus is that it has a lot of serotypes, which means that no single vaccine can work against all the varieties that exist. But there are around a dozen types that are more common, and the vaccines we have against these are actively sufficient. Vaccination is extremely important in fighting serious infections and also has a beneficial effect in reducing the incidence of otitis media, because it is a very good preventive measure against Haemophilus influenzae—and to some extent, also against pneumococcus. By contrast, treating the condition after it takes hold is quite problematic. The trouble with otitis is that it occurs within an enclosed space that is not well irrigated by blood vessels. Normally to treat a bacterial infection, we administer antibiotics that will be carried by the blood to the site of the infection. With otitis, because you don’t have blood vessels in the middle ear, you’ve got nothing that can deliver the medicine. It’s not enough to have a good antibiotic that kills the bacteria in the lab; you need one that you can give in higher doses without being toxic—such as antibiotics from the penicillin family. Derivates of penicillin (amoxycillin, cefuroxime, etc.) have a particularly safe profile that enables us to increase their dosages significantly without the risk of increased side effects, so we often prescribe these kinds of antibiotics for children. Pneumococcus, however, develops a resistance to penicillins quite easily. This sometimes makes treating otitis more difficult. First of all, we need to use high doses to address the low-grade resistance of the bacteria, or prescribe antibiotics that can overcome that resistance. If the simple antibiotics don’t work, perhaps we have to escalate and use a more potent medicine. But due to the problem of poor irrigation within the middle ear, even this treatment can fail. The pus and fluid within the middle ear will continue to build up and cause pain, discomfort and disorientation. ear without causing functional damage, and then the pus can drain out and the tissue will eventually heal. It’s the body’s answer to how not to get an ear infection that can’t be controlled. Of course, when the child’s mother sees the pus draining out of the ear, she will certainly panic. In fact, the baby will feel much better at that point, because the pressure will immediately vanish. This is where the ENT doctor is sometimes necessary—when we have a child with unbearably painful otitis who is not responding to antibiotics, we may decide to do the perforation surgically. Generally once the pus has been removed, you don’t need any more antibiotics. The procedure hurts, but it lasts a fraction of a second, and after that there is no further pain. It’s painful because the exquisitely tender eardrum is particularly sensitive to pain, as a membrane that is supposed to feel delicate vibrations. After it’s over, thankfully, the pain is gone. The difficult thing is to get the child to accept the surgeon to get to the ear! Dr. Agnes R. Viay is an integral team member of the pediatrics team at Family Medical Practice, bringing with her a wealth of experience in childcare. She oversees FMP’s Saigon International Mother & Baby Association (SIMBA) program, which hosts weekly meetings to discuss a range of pre- and post-natal topics with new and soon-to-be mothers.